This summer I have been reaching for my light weight scarves and bandanas to add a twist to my basic summer knits. 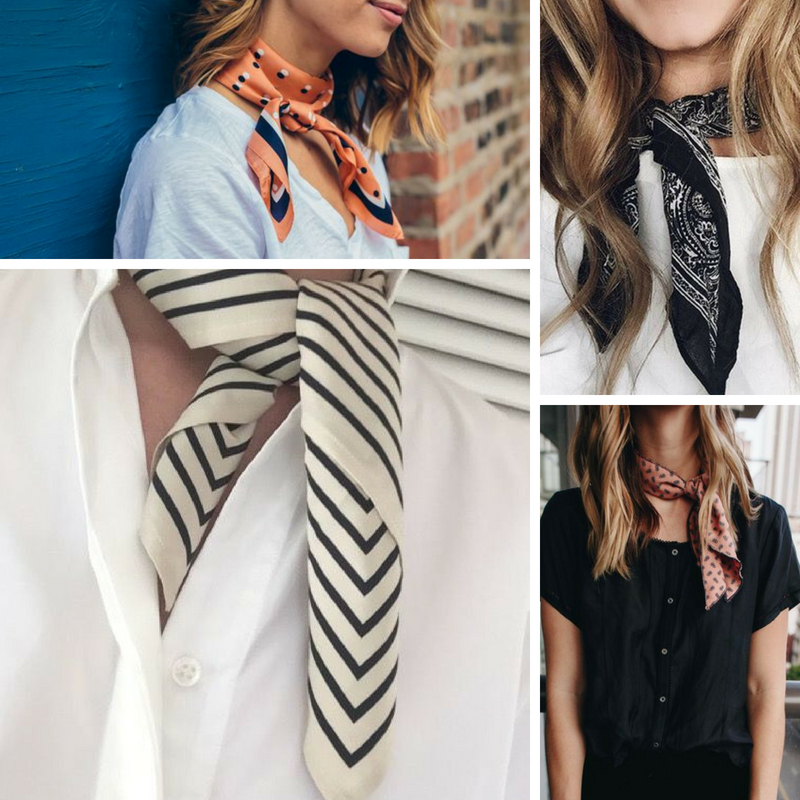 There are so many ways you can tie it but I love a simple knot near the neck. When you aren’t wearing it around your neck try tying in your ponytail or as a headband.